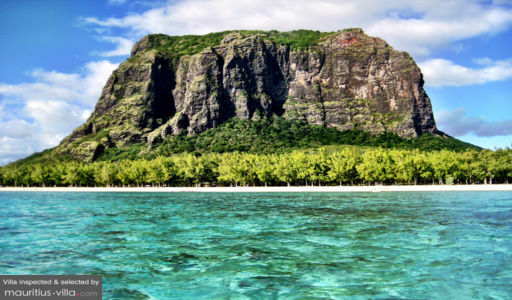 Le Morne Brabant is one of the most preserved and wildest mountains of the island (summit 556 metres above sea level). There are many caves and overhangs on the steep slopes. It is largely surrounded by a lagoon and is a well-known tourist attraction.